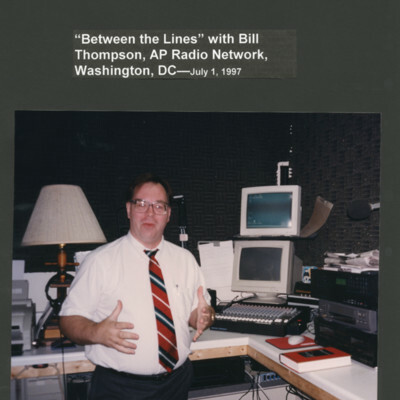 Bill Thompson. · One Book. One Author. One Hour. Brian Lamb, 1941-, “Bill Thompson.,” One Book. One Author. One Hour., accessed April 21, 2019, http://booknotes.gmu.edu/items/show/2980. 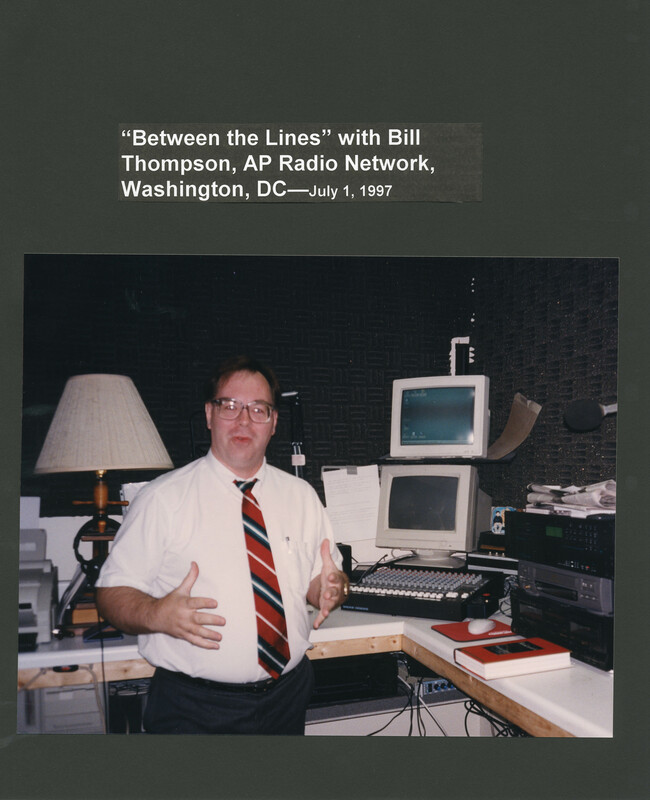 Radio host Bill Thompson in his "Between the Lines" studio on New Mexico Avenue in Washington, D.C.